The C7 interior was leaps and bounds better than the C6. Lots of soft touch plastics, real aluminium or carbon fiber (with updated package) good stitching, and good seats. For a street price of under $50K for a base C7 it's a ton of car for the money. But the interior is going on 5+ years old and showing it now. How do you write this with a straight face. I wonder how they are going to fit two sets of golf clubs in the frunk. Also, Corvette owners don't want a mid-engine car, or race/hyper/1000hp car for that fact, they want the illusion of one. For reference, see ZR1 vert with auto trans. I am friends with two corvette owners, both of them bought their cars to race them and do nearly all year round (based in New England, but they travel when they can). 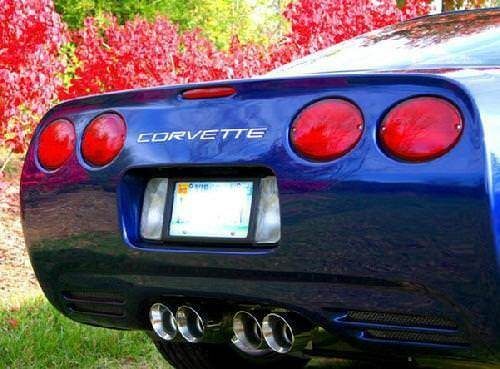 I know several corvette owners; they hate my friends for racing their corvettes on weekends instead of waxing them. That's true for almost all exotics, unfortunately. But out of the Super/hyper cars, the Corvette is the one most used on track. Heck, there were more Corvettes than Vipers at the last Viper Days I went to. The percentage of Corvettes that are not simple daily drivers, cruise with other vettes, or sent out for car show duty is a VERY small percentage. Mid engine Corvette is on par with a manual 991 GT3. Everyone who loved the idea voiced it and when the car was produced, the majority produced are PDK. Corvette is a super/hyper car? Price wise and exclusivity, um no. But performance wise the ZR1 is getting pretty close. It is a high level sportscar though. Then again, I equate super to performance, not brand or price. That's reserved for the term "exotic"
Last edited by mhoward1; 06-01-2018 at 01:43 PM. If the Viper was, why not the vette'? Just to toss this in here. Recently my girlfriend drops off her GT3 for service and receives one of the best dealership experiences ever, a showroom filled with rare & old Porsche's, a coffee bar, snacks, a real lounge, person comes to you and refers to you by name, given a $100k loaner vehicle. . . now lets all think about the last time we were in Chevy dealers. What I'm getting at, a buyer of the stature GM is attempting to draw in with this is more than just the car and the buyers of that market kind of . . . expect greatness which GM cannot deliver. Kind of like a $400k Lexus, $250k Acura. The C8 must be the end of front engine Corvettes because it's not going to steal sales from the others in this price point (except Acura ). Now, coming full circle with my previous post on this topic. Corvette owners are not the type that want to actually live with an exotic, they want the allure of one. Easy ingress and egress, cheap operating costs, luggage space (seriously, 2 golf bag fitment is a must), cheap insurance, COMFORTABLE, good visibility, removable roof/vert, gas mileage, faster than a base 911 and a halo Corvette that is within the same performance realm of exotics. The Corvette does this well and the owners love it (seriously, go check out corvetteforum or talk to some owners) and the C8 cannot. Chevy is making the dream of Corvette owners, not the car they actually want. Zr1 is a fast sports car. Corvette is a sports car. C7Z06/7 went soft after C6Z and added removable top, vert, and auto for sales because a limited number of peopled wanted C6Z because it gave up comfort for performance, which is what made it cool. Now compare ACR, GT2RS, GT3RS, GT350R, ZL1, AMG GTR, Demon, etc. Corvette has dumped it's purpose built cars to keep the grey chest hair with gold chains happy. . . and because of this method make the mid-engine platform a car that lots of people will want but will never actually buy. Viper definitely is not. It's a kit car made by Dodge that is not slow. I commonly reference my Viper as a ****box because that's what it is, albeit a ****box I love. It slots into it's own category really. Ok, not really, but how else do you explain it? So dumb, much great. Had the idiotic pleasure of driving one once. Gen 3 convertible in red. So stupid, I was laughing the entire time. Easily the most fun I have had in a car on public roads. Close second is the P90D. Something that big, fast and quiet is just weird. It's like the polar opposite of the Viper, yet still in the same breed of stupid. Looks like an old shool supercar. Good or bad? Hoping that's just the camo doing its job. I think it looks incredible. It's still not the production version so I would expect some minor changes but I really like it. 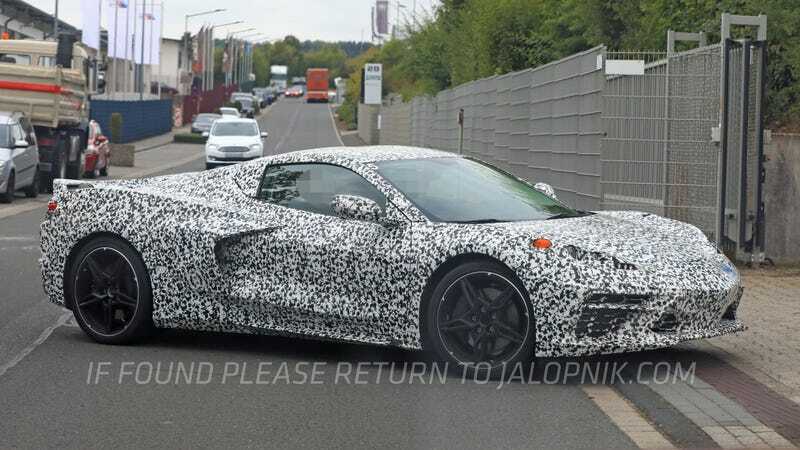 I was excited by the C8.R spy shots, but this doesn't look as good. I'm hoping it's just the camo doing it's job hiding things. The rear also looks pretty bulky to me. saw one get auctioned in Monterey a few years ago. I wonder how bad the cooling is going to be when they couldn't get a handle on it with the FRONT engined car. Somehow other mid engine designs manage a less bulky rear end look though. Unless there’s still some camo hiding things (I hope).